What your Can-Am Outlander 800-1000 (2012-2019) needs is our Bison Front Bumper Brush Guard Hunter Series. Protect your ATV with an easy, no-drilling installation. Strong & custom build just for you. When you’re hunting you can’t afford to miss an opportunity because of a busted radiator. Experienced hunters know the score and demand equipment that won’t cost them their shot. 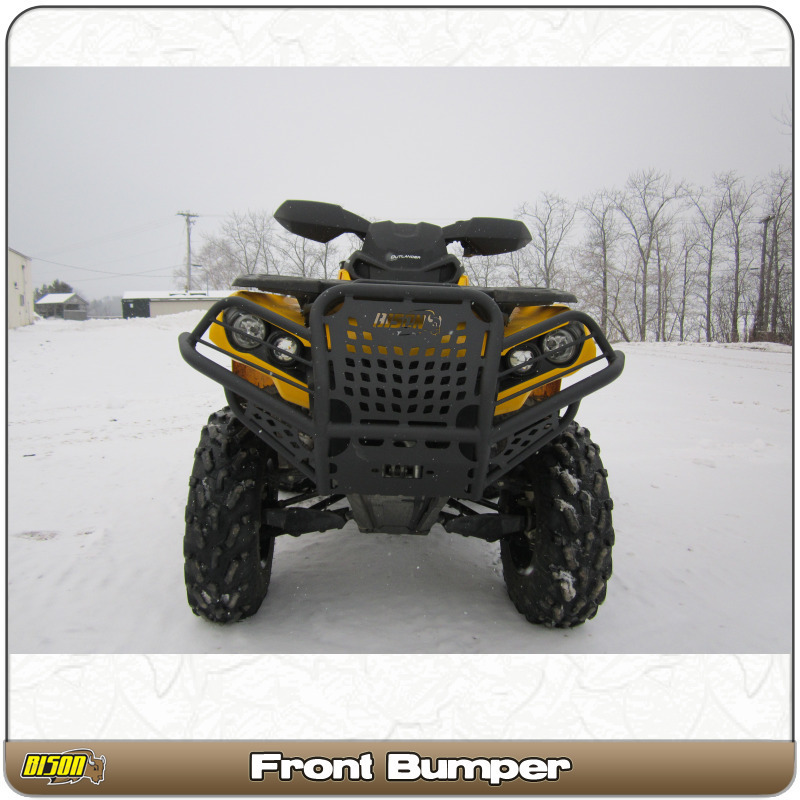 Get the ultimate line of protection for your ATV with the new Bison Hunter Series bolt-on bumpers and accessories.